A gentle, micellar shampoo for scalp and hair care, with anti-dandruff properties. It effectively reduces the amount of dry flakes visible on hair and clothes. It prevents the development of pathogenic bacteria and fungi. It soothes and moisturises. The delicate properties of the washing base in combination with micelles, help eliminate the problem of dandruff. A conditioning complex closes hair cuticles giving them healthy looking shine and smoothness. Does not contain sulphates which can affect the durability and quality of hair colour. For everyday use with experience of light dandruff. Long-lasting, regular application prevents recurrence of the problem. Thanks to the contained mild washing substances free from irritants (SLS, SLES, sulphates, phtalates, formaldehydes, parabens) effectively cleanses the scalp and the hair, without damaging them. Apply and distribute the formula on scalp and hair, gently massage and then rinse with plenty of water. Repeat activity. 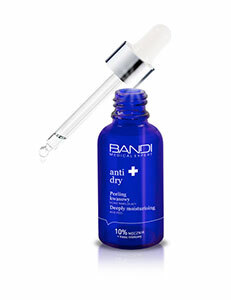 In case of strong dandruff and a frequent recurrence of the problem apply Anti-dandruff Tricho-extract once a week. In case of contact with eyes rinse with water thoroughly.